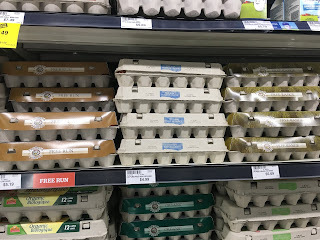 I was shopping for eggs a couple of days ago, when I realized just how many options there were, and just how confusing it might be for someone who wasn’t sure exactly what to buy. I think we all want to make good, healthy, informed choices, not over-spend, and keep animal well-being mind, so I decided to make a Food Fact Friday out of it! 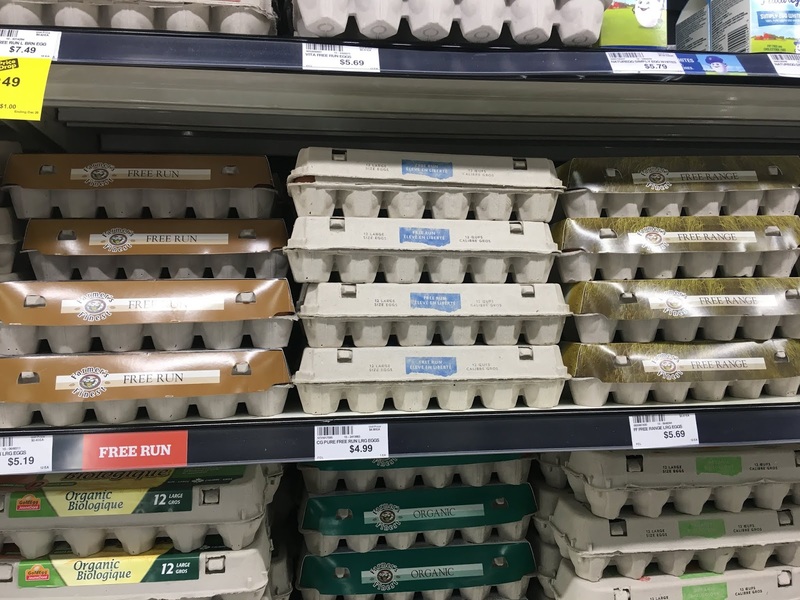 It’s important to start out by saying that here in Canada, eggs are free of added steroids or hormones and as a country, we have high quality standards when it comes to caring for the hens that lay eggs. Furthermore, MOST farmers care a lot about the animals they tend to (it’s in their best interest) despite some of the horror stories we hear. However, even within these parameters, there exists a fair amount of variety between systems that farmers use to house hens, and what they feed to them. While all Canadian egg farmers provide hens with access to food, water, a clean environment and protection from inclement weather, the hens don’t necessarily have access to the outdoors. Free-range/pastured birds have access to the outdoors, weather permitting. (But because there is no legal definition of free-range in Canada, this varies farm to farm). 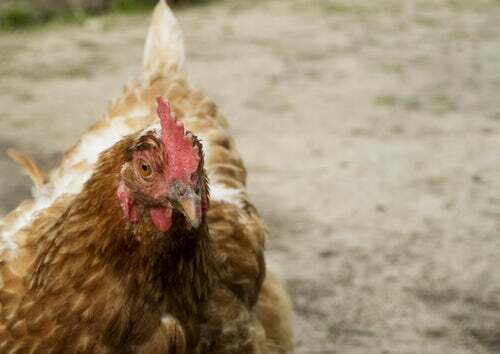 There is also an important distinction between free-range and free-run. Free-run means that the birds have access to the entire barn floor area, and are not kept in cages – but they don’t necessarily have access to the outdoors either. I personally prefer to buy eggs that are free-range/pastured, and ideally from a local farmer. I like the idea of the hens being able to roam around and get sunlight, and hens in a free-range environment are likely to have access to more heavily pigmented foods like plants and insects – which is their natural diet. This diet (generally speaking) leads to a more nutritious egg with a darker yolk. But even then, yolk color can vary. 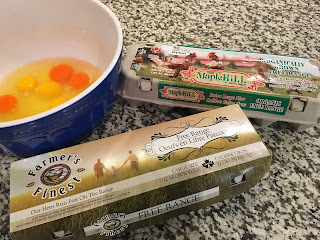 Below are eggs from a new carton and older carton of eggs I used the other day when making a frittata. It's interesting to see: both of these are free-range eggs; one is organic. Finally, just a reminder that by buying locally, we are supporting farmers in our area, and we get the freshest (eggs in this case) food possible. It’s truly win-win! Did you know? Omega-3 fatty acids are present in almost all egg yolks? Some hens though, are fed an enhanced diet higher in certain nutrients (like Omega-3’s), which ultimately affect the nutrient content of the eggs. Did you know? 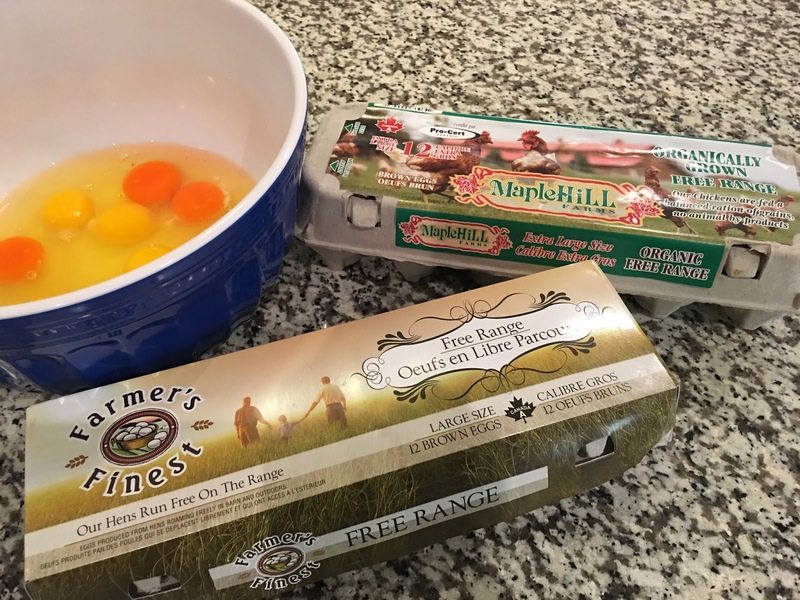 Pasture-raised hens eggs are often naturally higher in Omega-3’s because of their diet (from forage legumes like alfalfa and clover, and mixed grasses). However – if you’re looking to include more Omega-3 fatty acids in your diet, you’re far better off to source it from much denser sources, such as wild salmon, sardines, or grass-fed beef!